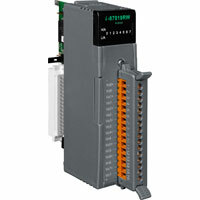 I-87019RW | 8-channel Universal Analog Input Module with High Over Voltage Protection. Supports +/-15mV, +/-50mV, +/-100mV, +/-150mV, +/- 500mV, +/-1V, +/-2.5V, +/-5V,+/-10V, and -20mA ~ +20mA (Jumper Selectable) input types. 8-channel Universal Analog Input Module with High Over Voltage Protection. Supports +/-15mV, +/-50mV, +/-100mV, +/-150mV, +/- 500mV, +/-1V, +/-2.5V, +/-5V,+/-10V, and -20mA ~ +20mA (Jumper Selectable) input types. I-87019RW is an Universal Analog Input Module with High Voltage Protection and 8 differential channels. It is a serial cartridge based I/O module and can be used with our XPAC, WinPAC, and ViewPAC controllers. It supports +/-15mV, +/-50mV, +/-100mV, +/-150mV, +/- 500mV, +/-1V, +/-2.5V, +/-5V,+/-10V, and -20mA ~ +20mA (Jumper Selectable) input types. 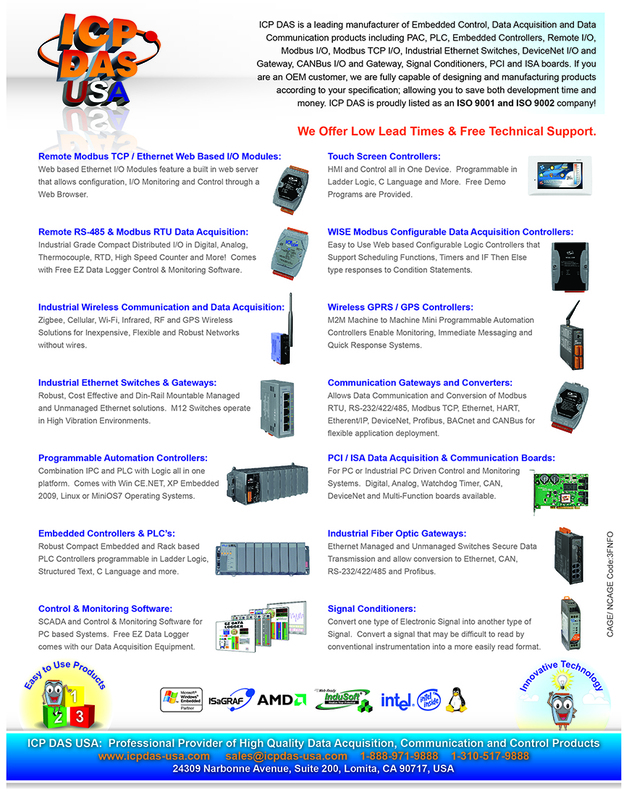 It also supports J, K, T, E. R. S, B, N, C, L, M, and LDIN43710 thermocouple types.